BRRRRRR it no longer feels like summer but late fall I may step outside and find all my annuals have succumbed to frost as we have had no hard freeze here on the seacoast as of yet. My swamp maples had their gorgeous reds along the river and some rain and wind has taken some of the leaves down in preparation to their winter slumber and a long one it will be. Parts of our country have either been under fire or water for far too long some with no power for weeks to come and ocean water so filthy all species have washed ashore 😦 I pray for this world we call home. So what do I do as fall takes hold well of course I charge my camera and we go for a ride yes we got ready rain and all and grabbed JT for her annual foliage ride. It had not yet hit peak in the 300 mile day trip we took but the clouds and rain made it look spectacular. Thursday I will try again this time I will head into VT for photos of Barns and Cows always sought after shots. This last one I will try to capture with my Watercolor. I have never been a reader of self help books though with the world wide web I could seek out anything I wanted to know more about. Well I read this book, as I shopped for the essentials I would need for the first week and began. First two days I went to bed early so I did not have to eat anymore food, yes this is the truth it may have been 3 days. On this third day a funny thing happened I actually heard my stomach growl for the first time in 20 years. You see I would wake at 5 am have 2 cups of coffee no sugar and not eat anything until maybe noon then dinner at 6 or 7 pm then bed by 10 or 11. On occasion I would snack before bed or have a dessert. I was so out of whack not drinking water, burning the candle at both ends never giving my body the nutrients it needed to function properly. When I was trucking I ate better, I guess it was when I got hurt and could not afford lots of different foods and depression took hold from it and being poor for really the first time that I began this journey. It was time to live again! So the deal is you must give up white flower that many have already as well as pasta, rice and rolls as well as baked goods. I also gave up all sugar and quit drinking coffee after 45+years it was not even hard to do so. I began to drink my water all day long, eat within 30 minutes of waking and having a snack then lunch then later a snack then finally supper. Most meals consisted of 3 or 4 cups of salad which is easy as this time of the year I grow my own. Well I must say I was shocked to see the scale move when I felt I like was eating like a pig 🙂 Imagine that! Inches more noticeable, skin better and sleep was wonderful which I am grateful for because in this period of time I was under so much stress as you see a person I trusted with my art, a neighbor with a consignment store, had closed up shop and took all the vendors goods and never told us. I searched and searched for her and finally she popped up 2 towns away. I showed up after having my boyfriend go in as a shopper first and when he got back to the car he said “None of your art is in there.” I was sick and mad and headed inside by myself. She said “I do not have it and I reminded her it was $180 and told her to give me cash for it and the check she bounced back in May. Long story short I did what I could to help others get what they could, as she stole theirs and wrote more bad checks to boot. It will be hard for me to trust another but all I can say is I stayed on my plan even with all this stress and continued to lose. The moral of this long story is eat to be healthy and drop weight give up the crap food that is no good for you and always I mean always really know who you are dealing with when you let things you love out of sight. I will now just sell cards and prints locally as I do online and the originals will be here beside me safe and sound. She should have named her new shop BAD KARMA after what she took from the 20 of us. I am blessed to have lived the life I have lived, always full of lessons to be sure. Come on August I need to do something fun! Thanks to those who started this journey with me and to the followers who popped in along the way wow seven years. Plant Sales and planting have been keeping me busy this spring and of course watching my forest grow. Here is a Iris I dug up from our family home before mom passed isn’t it the prettiest color. How mom loved her huge variety wish I had taken more but if the new owners like them maybe they will be loved there. Here is a shot of my tiny forest as it begins, it is even taller now. This is the area I am concentrating on. I have updated my About page with news of what is happening around here. This should keep me busy and smiling 🙂 Thanks everyone! Time for a bit of an update I would say it has been awhile. I began my blog as a way to connect to others as life for me was so different as the hustle and bustle of trucking was over after 3 million miles. Not bad for a female and I must say there was never a moment in the 30 years I held that commercial drivers licence that I was sexually harassed. I never had to lower myself to get work I am proud to say my work ethic was all anyone had to see to know I was up for the run. I went from sharing lousy photos to then honing my skills to actually selling many each month on the different platforms out there. I then shared stories with you about life and it’s struggles and victories I must say what a ride it has been. I took a Watercolor class one night, 2 hours and my world changed. I once again shared with you all my early attempts and for those who stopped by to encourage me Thank You. I have just begun my 4th year of painting and learning all I could about play. Before my mom died last year she asked me to retire from trucking and to keep painting. Doors have begun to open and I no longer fear stepping through them. I enter shows and never worry about what others think of my pieces you see I love each one. They come from within and pour out onto that wet piece of white paper, each a piece of me and the life I have led. I have set up a website here at https://uni356.wixsite.com/folsom-mill-studio with all the links for getting a print or card of anything be it photography or watercolor. I have joined Instagram as well under Folsommill where I will post videos, works in progress and shots from here in New England. I am bad about putting down the brush and adding to stores never mind blogging to you all I am sorry, I am caught up in creating more than sharing I will try harder because I love connecting with you. If you see me post something that speaks to you send me an email and tell me which store you want me to add it to. Zazzle has items FAA doesn’t sell I make a $1 or $2 for most items some just 10 cents it all helps to keep me in paint and paper. This link above has a drop down menu so you can find me. I appreciate each and every one of you who has bought something I have made, you have helped me greatly. Now for some better news I am trying to conserve my property here in NH for the Arts and will in time look for Artists to hold workshops here where their followers can come and learn. First I conserve and do all the legal things and then I build a place for the teacher to stay and there will be a motel minutes from here for the students to book their rooms. I will cook for the teachers and provide lunches for the workshop attendees and a ride to and from the motel if they do not want to rent cars though most will as New England is such an amazing part of the United States they will want to take it all in and maybe even setup trips for Plein Air excursions. It is an exciting time for me and I will blog as changes begin here on the property and I start booking their stays. Do you create? Do you have favorite teachers you want to learn from? Yes it is hard work but nothing like trucking 🙂 Stay tuned! You can find it here with a drop down menu of all the places you can find me at I am also giving lessons on the magic aspect of wet into wet watercolor here in the seacoast area of NH. I will try harder to BLOG here on WP and update my website with new artwork I will be offering for sale. Funnel Some Warmth This Way! With wind chills well below -20F we need the south to funnel some warmth to the north! I Forgot To Share My Beach With You Dress Warm! A point where the waves splashed over and took some of this back out with it. Boy Did We Get Hammered! More snow coming Friday through Monday oh joy. Bring on Spring lol I know I sound like a broken record but it was 60F on Christmas which was my BEST PRESENT! Hi Everyone! Our first snow is due to fall between tonight and Monday and they say the winds will be fierce at times 🙂 maybe it will blow it off the roof! Yes tis the season once again one day raking the next shoveling never a dull moment in New England. We put the yard to bed. Ran the mower out of gas and brought the snow blower up to shed closer to the house and stored the rakes for the garden hoes too and brought up snow shovels and ordered coal to keep us warm. We use propane but they charge an arm and leg and it never keeps this place warm. Today I completed two pieces I had in different stages of completion and then whipped up a bunch of Abstract Watercolors I will sell for others to mat and frame and cheer up a spot on their wall or table or maybe even a piano! I will share with you then add to my blog My Portfolio with sizes and prices. It was a stress free first day of November here in NH as I hope it was with each of you. Take care and thanks for looking I love feed back you know. My son had his show in NYC Curated by Peter Doig, who by the way was so nice. He likes Mike’s work with spray paint and that speaks volumes. He is an Artist first so he gets what one puts into what they do, you know the true passion for the medium in which you choose to create with. Some other things happened yesterday about suppertime. I walked in before even seeing Mike and introduced myself to his Mom you know the one I chose from the Couple Bio’s at the adoption agency. To say she had no clue as to who I was is a understatement but as I said her name and reached my hand out and said my name the question on her face became a smile. Two Mom’s meet for first time(he is 37 lol). She then introduced me to her friend also an artist in her own right as well as a dear family friend of theirs and then her husband, Mike’s Dad and then came a chance to meet the daughter she had after adopting my son. Then her son in law and two precious grandchildren. She asked if Mike knew I was there and I assured her no, that was the best part after not seeing him in five years and him being so close to us I had to come see him and his show. Mike was down a hallway and as her and I began to walk towards him he looked up and was floored first by the fact I was there in person and second because both he and his Mom were side by side laughing. We hugged and I leaned down to pat his sweet dog, who had also made the trip east while my little girl(JT) and her daddy were just steps away from all the action in our truck. I had sent him in to let me know if my son had arrived yet and he came out and said boy had he changed since he had come to the house that day we first met, he no longer looked like the man who had fathered him but now more like one of my brothers:) yes life is good! So after we were done hugging I told him I was going outside so Ron could come in as JT was in the truck to which he replied “Let’s go!” Now I felt bad as people were streaming in to look at Art and meet the Artist’s and here he was looking to bail. He hates shows, he hates the spotlight on him though when asked questions I would swear he is at ease or maybe last night was different maybe by 2 worlds colliding because I was once enough brave enough to do what was right, it helped him to smile. I hope so and anything one can do for their child no matter how old they are you do right? We talked and hugged and I met some of his friends as well. We left home at 11 am and stopped in CT to see friends and let JT walk around and do her thing as we stretched out legs for the last leg of the trip. The show was from 6 to 8 pm and we made it to the gallery at 5 and found a spot in the shade of the cities huge skyscrapers. It was warm just 4+ hours from NH but nice. I walked JT along the NYC streets for a change of pace as we had time to spare I hate being late to anything. I would say the show was a success. As I said my goodbyes at 7:45 the place was packed. People pumped on Art within the walls of White Columns Art Gallery on Horatio Street not far from the 9-11 Memorial, which many of you may have seen all over the TV the day before. I had hoped to see the lights shining upward but they were not on when we got there even though night had fallen over this beautiful city, yes Boston is my home but NYC is a close second and even more special now. Time for some lousy photos taken with phone inside the gallery should you fall in love with a piece and want to call it yours you can contact the gallery for details as I never thought to ask what the prices were. He also does custom work so if you want to have something done by a Graffiti Artist and not on the side of your building, lol here is his email tierneypaints@yahoo.com. Sorry for bragging but I do adore him and want him to be even more successful than even he can dream for himself. Hoped you loved the sample of his latest work, I know we all did. Have you read in your local papers all about the saga playing out here in New England? The story of a family run business in turmoil? Where one cousin was in charge and all kinds of money was being made and new stores held “Grand Openings”, then the new shareholders wanted the other cousin to run the show. Well it has been a well known fact about this families inner turmoil for those who grew up near the where it all takes place. I have looked on from the outside and as a trucker I have delivered loads of goods that would be placed on the shelves in their stores. When I moved to my home in 1988 I made 20 mile round trip runs once a week, to do my food shopping. No they were not the only game in town just a place that toted “More For Your Dollar”. I have shopped at their many stores since I was 18 and now 58 I would say I have been a very loyal customer. From the very old original stores to my towns brand new one, I love them all, what I don’t like is that family squabbles, yes we all have them, have to interfere with the shopping public. You see back in July they told Artie T. he would have to step aside to let his cousin Arthur S. run the show. The store was about to take on a look and feel unlike the last 40 years I shopped. The workers were upset and unrest began pretty quickly. The workers said “Bring Artie T BACK!” You see he cared about the company as well as the workers and maybe just a little less about the bottom line as his cousin maybe. The worker’s made signs. Some stayed home but most worked their shift and then stood outside for a month boycotting the way Artie T. was told to go. They rallied behind him in a way that makes me so proud. You see they stood up for a man they loved to work for and held their ground to the point where almost all customers showed their support for them and refused to enter any of the many, many stores of this famous New England supermarket chain. Have you shopped at one of our Market Baskets/Demoulas stores? Day after day we had to shop elsewhere. Customers would bring their receipts to their local boycotted stores and tape them up as a reminder they had to eat and that this is what their beloved stores were loosing in revenue. Store after store windows were covered with receipts how could management not see? It has been going on for so many days that it is usually the lead story on our local news. The duel being played out by the two Arthurs. Well the recent news on this fiasco is that they will all will be fired should they not go back to the stores and warehouses. Managers told to CLEAN UP the properties. Signs of BOYCOTT must come down! Receipts too! See they have had enough, well so did the workers. It comes down to power plays and greed. Artie T. from the moment he was told to go home said he would buy controlling interest from his cousin. There came a point where this group of CEO’s stated another local food chain was interested in sweeping in to purchase the whole package. I for one watched that store put a Mom and Pop run small chain out of business when they moved in 3 miles away, with great prices and as soon as the other one failed up went their prices, which is why I traveled the 20 miles round trip each week for 40 years. So should they sell to them I will continue to shop my local Farmer’s Markets and Meat shops yes it will be more expensive but I have my priorities and principles as well and my allegiance is to my much loved Market Basket store. We miss you Artie T.
Rock on to all those workers who held their ground and brought this company down upon their knees, begging for customers and for their workers to return to their posts, when maybe they should stayed on theirs knees just a bit longer and gave thanks to God for all they have enjoyed for so many years here in New England. I will miss you so much if you go. I find the blog format fascinating, as my stories about my illustration career “unfolded” in their own way. I had no idea when I started writing my blog where it would go. All of my stories, tips and information move forward from the first post. Therefore, because the blog’s format is backwards, this last entry has become the conclusion! However, because it is the “Home Page,” it is important for me to explain a few things that I have shared earlier in my blog. There are people reading this who have not seen anything else I’ve written. Ok now I know if I was good I would have added photos to get the point across even better but they are just plain ugly as is cancer of any kind. Please don’t use sun tanning beds. Don’t roast and roll as I did for years. All are a reminders of how careless I was about my health. Please protect your children as well. They did not have sunscreen when I was young but I know I never would have worn it anyway. I was out for the glow! Blondes look pretty when they are tan you know what I mean. This week’s Website of the Week is Seriously Amazing from the US Smithsonian Institute. Founded in 1846, the Smithsonian is the world’s largest museum and research complex, consisting of 19 museums and galleries, the National Zoological Park, and nine research facilities. Seriously Amazing is a really interesting site chock full of strange, little-known, quirky and yes seriously amazing questions, and their answers. The Smithsonian asks and answers questions every day about science, art, history and culture. Check out Seriously Amazing to view some of the best. Safely behind the garden fence where hungry Turkey and Bear could easily get into but so far have not. Finally something for all my effort. Sad looking Sunflower too much rain and clearly not enough Sunshine. Not only does the cat enjoy this beautiful plant but the Bumble Bees and these Hummingbird Moths seem to love it as well! Can’t get a great Macro with Easy Share will have to see if I can get a local camera shop to fix what I have done to it. You can get an idea about what is happening here in my yard just before Aug. We have frost that arrives in Sept. and Oct. so I hope this garden starts taking off SOON! If I could go back and start over where I messed up if I actually really did I would start here. I would study hard and fool around less. I would LISTEN and not know it ALL. I would pay more attention to my teachers and less on my classmates. I would be so different now. I could have been anyone. I could have been a Hairdresser with my own shop. I could spend the rest of my life thinking should have, could have but you know what, I am OK with what I learned and where I went and OK with all that money I made and all the hours I worked because you CAN”T GO BACK so finally I am HAPPY going FORWARD! Wonder if I can cook this one? 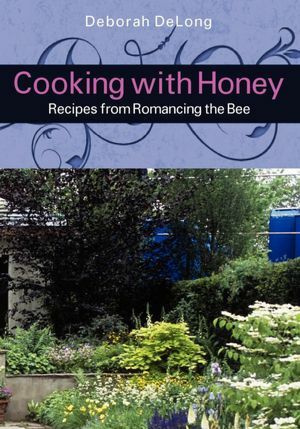 Cooking With Honey Has Been Published! Cooking With Honey is available through its web site as well as Barnes & Noble and Amazon! It’s also available on its web site as an e-book. And thanks again for all of your encouragement!! I think after weigh-in today I shall sit outside and enjoy the rain over my head while I play with wire and Sea glass. I am thinking of some pretty earrings, if I can find pieces from my collection that will work as a pair. I will also work on caged beads for earrings too. With rains last night and some still to fall today, I must wait to add more paint, to this old home of mine. wrists.. Who knew, lol I love them on mine! I will try to do a blog showing the steps of making something pretty from beginning to end.